Senator Elizabeth Warren of Massachusetts at her swearing-in ceremony in Washingotn, Jan. 3.
Who can beat Donald Trump in 2020? With that, Warren was personally claiming status she shouldn’t have been claiming. Since then, she hasn’t been fully honest about what she did or why. Her mishandling of it is now part of her political DNA and apologies won’t change it. The latest news about Warren broke on the night that President Trump delivered a State of the Union speech filled with his usual lies and distortions. So why should this one controversial aspect of Warren’s life story undercut a presidential bid against a congenital liar like Trump? It’s not fair. It’s not right. But unfortunately, it hobbles her beyond her base of loyal supporters. 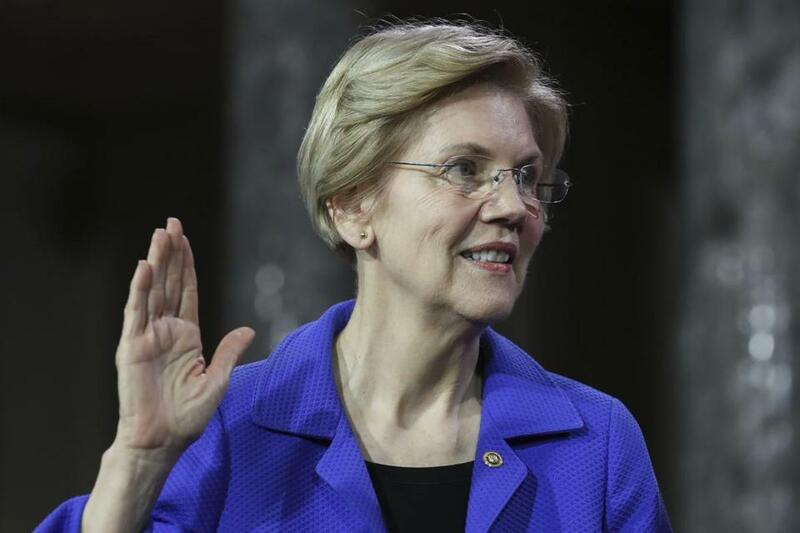 The lingering questions about her claims are an unwelcome distraction for Warren campaign days before she is expected to make her candidacy for president official. To those who would argue that harping on it is like harping on Hillary Clinton’s e-mail: The press can dwell on it or ignore it. It doesn’t matter. It’s going to hurt Warren, not just with independents she would have to woo in a general election, but within her own party. Democrats now say they care more about winning than they do about issues. Electability will be the prism through which all primary candidates are scrutinized. Beating Trump trumps ideological purity and leaves no wiggle room for liberal hypocrisy. That’s why Democrats are calling for Virginia Governor Ralph Northam to resign over a yearbook photo from 1985 that shows one person in black face and another in Ku Klux Klan garb. Northam now insists he’s neither person in the photo. But just having it on the page is a political problem, not to mention his subsequent confession that he once wore blackface to participate in a Michael Jackson dance contest. When you’re calling out a president as racist, you can’t make excuses for one of your own. Warren’s claim of Native American heritage is, of course, nothing like Trump’s blatant race-baiting. It’s also different from Northam’s offense. But how she listed herself, and then retroactively tried to document her heritage via DNA, looks racially insensitive in the run-up to 2020. 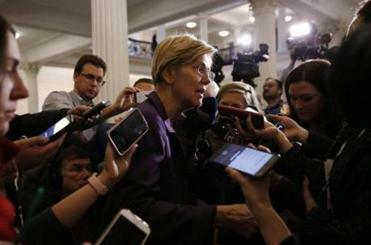 When the issue was first raised in the 2012 Senate race, Warren didn’t confront it head-on. Instead, the details of her claim to Native American heritage, based on what she called family lore, have dripped out over time. In the 1980s, when Warren taught law at the University of Texas, she was listed as “white.” Then in 1986, she listed herself in the Association of American Law Schools annual directory as a minority law professor and on the Texas Bar card as American Indian. She was subsequently hired to teach law at the University of Pennsylvania, despite being considered “white.” But three years after she accepted that job, she had Penn switch her listed ethnicity from “white” to “Native American.” This was her way, she told the Globe, to keep her family lore alive, as relatives who claimed to have Cherokee and Delaware blood were dying. When Harvard Law School hired her, her ethnicity was not a factor, the Globe reported. But in an affirmative action plan, Harvard did list one Native American woman teaching law. With Trump mocking her as “Pocahontas,” Warren took a DNA test. The results showed very distant Native American ancestry, riling up critics on the left and right. She recently apologized to the chief of the Cherokee Nation. “I can’t go back. But I am sorry for furthering confusion on tribal sovereignty and tribal citizenship and harm that resulted,” she told the Post. But with that “sorry” came the latest wrinkle, about how she listed herself as “American Indian” on the Texas Bar registration card. In what way has Warren put this mess behind her? She hasn’t. And that’s her dilemma, in a party that, above all, wants to defeat Trump.